While many shoppers will be visiting physical stores for holiday shopping, many also will be turning to mobile devices and virtual assistance to help them along. Millennials are at the forefront of a shift in the path to purchase for holiday shopping, according to a new study, with 60% of them planning to use laptops or PCs for holiday shopping, 55% planning to use a mobile device and 17% planning to use voice assistants. Overall, 13% of consumers plan to shop using virtual assistants, such as Amazon Alexa or Google Assistant, according to the third annual nationwide study of consumer shopping trends, comprising a survey of 1,000 U.S. adults conducted by Citi Retail Services. The majority (73%) of consumers plan to visit a brick-and-mortar store to purchase holiday gifts, and more than half (57%) plan to use their computer and 42% their mobile device to shop. Citi expects that voice-driven shopping will increase along with the additional number of consumers acquiring smart speakers, such as Amazon Echo and Google Home. 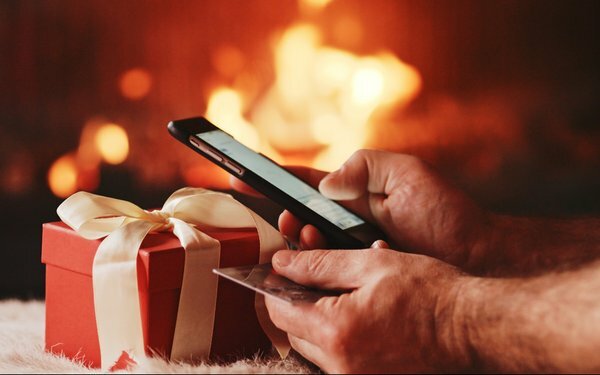 The majority (60%) of rewards members opted not to use their rewards throughout the year so they can allocate them toward a holiday gift, according to Citi. A quarter (26%) of consumers and a third (33%) of millennials expect they will save $200 or more this holiday season thanks to their rewards program. Those savings may come in handy, since more than a third (37%) of consumers plan to spend more than they did last year. 5 comments about "Holiday Shoppers Turn To Tech-Powered Purchasing". silver weinholtz from awlogy, November 13, 2018 at 2:13 p.m. These percentages absolutely make no since at all. You have 73% who plan on going into a store front but also have 57% who plan on using mobile devices. Chuck Martin from Chuck Martin replied, November 13, 2018 at 7:47 p.m. The survey respondents could select more than one activity in that question, Silver. John Grono from GAP Research, November 14, 2018 at 3:41 p.m.
One wonders how this research was conducted. If it was online or mobile only, then guess which channels the answers would be skewed to. Chuck Martin from Chuck Martin replied, November 14, 2018 at 4:16 p.m. Typically, these are conducted online, John. John Grono from GAP Research, November 14, 2018 at 7:10 p.m. Thanks Chuck. Which automatically biases the results to online shoppers.